If you enjoy listening to podcasts and want to improve your mental health, there are a lot of amazing resources out there. Below, we've compiled a comprehensive list of podcasts. Some are better than others, but all are worth checking out. I've tried to detail some of the features of each show and how long a typical episode is. I have also included a list of recent topics. It is worth bearing in mind that this may not be representative of the show as a whole: it may just have been the specific topics they were covering when I did my research. 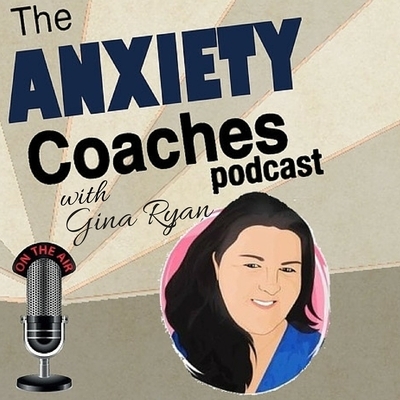 The Anxiety Coaches Podcast is a legend in the mental health posting world. Gina Ryan cranks out two shows a week and has been doing so for years: she has nearly reached 300 episodes at the time of writing. Most episodes are around 15-20 minutes, including a short introduction and generic welcome from Gina, before she goes into the show. Recent topics covered include whether to experience or numb yourself to uncomfortable emotions, practising calmness and several guest interviews. Tim delivers his podcast in a big and booming voice: it's like listening to a stand-up comedian speaking to a large audience. It's a different style, but may just be a problem with reverb wherever he records it. Episodes can be over an hour, especially if Tim is interviewing a guest. Others are much shorter. The show notes usually contain a time index and pick out quotes from each episode. Recent topics include workplace anxiety, video game addiction and facts and myths regarding antidepressant. A weekly podcast by Shann Vander Leek and Ananga Sivyer. Each episode starts with some calming music and a friendly welcome, a short plug for what they're selling, and then some great content. Episodes range from around 10 minutes to 30 minutes. Recent topics include how the US elections have created anxiety, self-care and nutritional deficiencies. 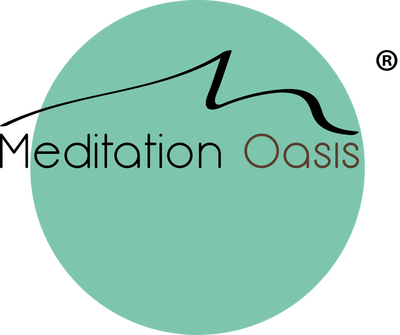 Chel Hamilton is a hypnotherapist who describes her podcast as "meditations for busy people". The title might make you think they were just meditations, but it's not quite that. She does put our regular meditations, but there is also content and discussion around anxiety. This is interesting but does mean that if you just want to the meditations, you need to navigate around a little bit. The meditations she does provide are enjoyable and have some relaxing music behind them. Episodes are typically between 10 and 15 minutes long. Paul Dooley's podcast is a wacky experience: it starts with a mix of film clips and a short discussion of the advantages of San Diego before handing over to Paul to introduce the show. There is no other messing around: once you are through the introduction, Dooley goes straight into delivering valuable content. The show comes out weekly and has been around for about a year. Episodes are long and in-depth: typically anywhere from 40 minutes to an hour each. Recent topics include suicide, meditation and whether exposure therapy really works. Kelli Walker delivers her podcast in a friendly and conversation manner. Most of her shows are done with her friend Erica, who is also a client of Kelli's. The both talk openly and honestly about how they are doing and what we can learn from it. Kelli cranks them out at an incredible speed: often there is a new podcast every three days. Nor are they brief: most of the episodes are 40-50 minutes in length. Recent topics include sleep, fear of flying and how grief relates to anxiety. Mind is a UK-based mental health charity. Their podcast is not specifically about anxiety: it covers all aspects of mental health. The introduction is recorded by Stephen Fry. The format is straight forward. They have the pre-recorded intro, and then it is handed over to a different person each episode who talks about the issues they have been struggling with. It is designed to present "real people"; there is no host. Due to this, the production values are not great: there is a lot of background noise. Episodes are sporadic: coming out every few months. Most are 5 minutes to 20 minutes. 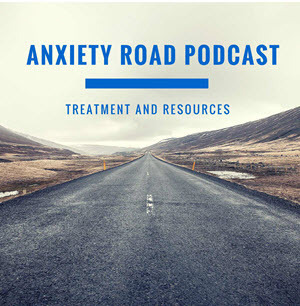 Dr John Duffy publishes this weekly podcast in which he regularly interviews guests, both mental health professionals and people talking about their personal experience. In fact, as Duffy correctly points out, the Venn diagram usually has a lot of crossover. Production values are usually high, and there isn't much time wasted on a long and drawn-out introduction. Most episodes are a little over half an hour long. Recent topics include coping with the suicide of loved ones, positive thinking and handling the break-up of relationships. 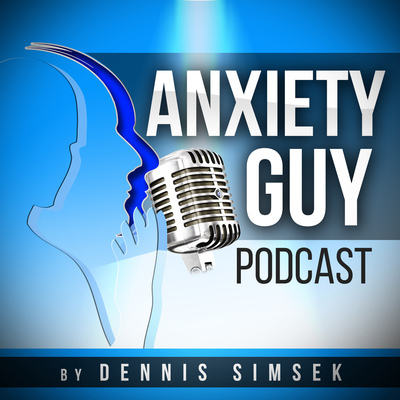 Dennis Simsek publishes this weekly podcast covering anxiety, depression and hypochondria. It has been running for over a year, but only the last 10 episodes are available on iTunes. Episodes are typically around 20 minutes long. Each show starts with a short introduction about Simsek before handing over to the man himself to present the show. 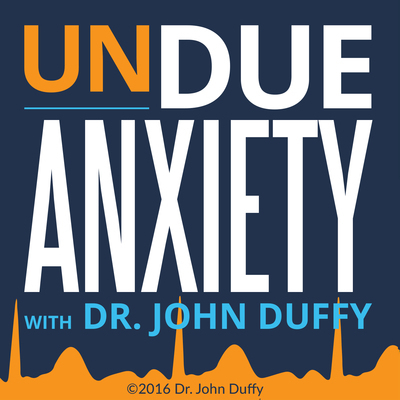 Health anxiety is a recurrent theme on the show and is featured in several recent episodes. Other topics include interviews with guests and setting expectations. 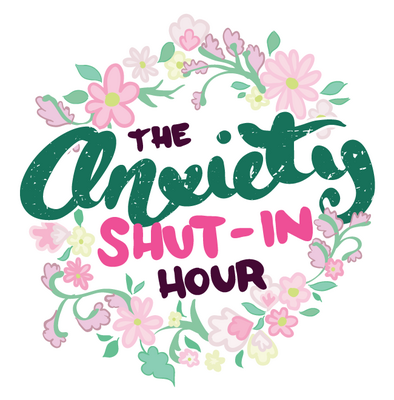 Hosted by Anna and Erin, who go by the name "Anxiety Aunts", this podcast ran briefly from 2015 to 2016. They are based in Australia, and each episode starts with useful local resources before a short guitar intro with the hosts singing along. There are only seven episodes, but they are in-depth. Each episode is over an hour long. They contain explicit language. Some of the content is serious, some of it less serious. In one of my favourite episodes, they discuss the paradox of how some people can be extraverts and still suffer from forms of social anxiety. 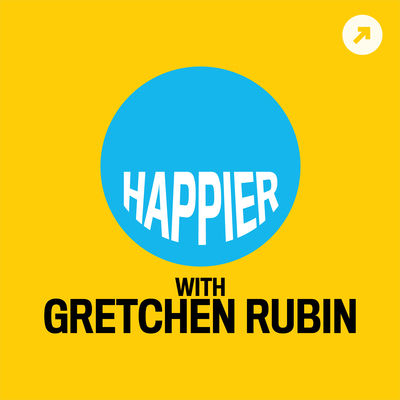 Rubin's podcast looks at happiness: what the scientific evidence says and how we can be happier. Rubin cohosts the show with her sister Elizabeth Craft. Production values are high, once you get past the long list of sponsors at the start of show. Most shows are between 30 and 40 minutes in length. 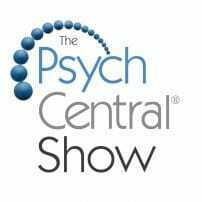 Hosted by Dr Scot Bay, the show discusses all areas of mental health. It is designed to be direct and uncluttered. It covers both research and news regarding mental health, but also advice and ideas for improving your own mental health. Production values could be better. There is a lot of echo some background noise. Each episode is an hour long. Recent topics include the effects of marijuana, world happiness report and how to support a partner struggling with depression. Joel Kutz presents this podcast that offers "honest conversations about mental health". In each episode, he interviews a different guest about their experiences regarding depression, anxiety, abuse and trauma. Episodes are infrequent and often released in blocks. Production values are good. Each episode is an hour to an hour and a half long. 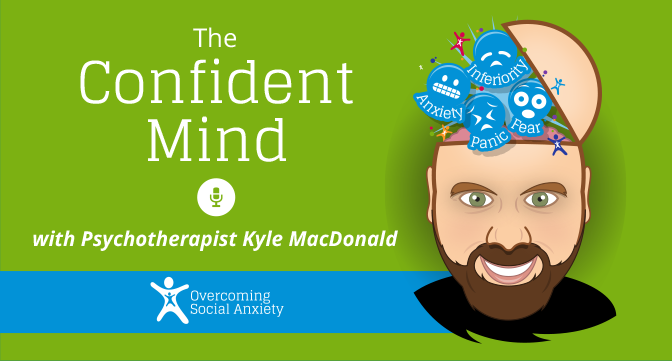 Kyle MacDonald is a New Zealand based psychotherapist who runs the "Overcoming Social Anxiety" programme: an online resource which operates on a "pay as you feel" model. He also runs a podcast called The Confident Mind. It has a strong focus on mindfulness, discussing how it works, the evidence for it and how you can use it in every day life. It used to be published weekly. However, since mid-2016 it has dropped to a less regular schedule. His softly spoken voice and high production values make it an enjoyable show. Each episode is around 20 minutes long. 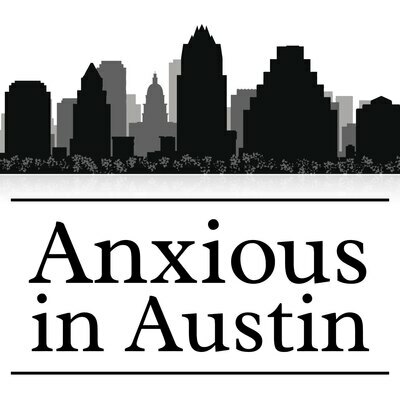 Presented by Dr Marianne Stout and Dr Thomas Smithyman from the Anxiety Treatment Center of Austin, this show looks at anxiety and OCD (obsessive-compulsive disorder). There is no messing around: the introduction is only a few seconds long before they are straight into delivering content. Production values are not great: the audio is rather quiet and the more you increase it, the more background noise you get. Episodes are published monthly and are between 40 minutes to an hour long. Moodzone isn't really a podcast: it's a series of five episodes published by the NHS that is designed to help you with mood, depression and anxiety. They give you short meditations, each under 10 minutes long, focusing on different topics. Unfortunately, production values are lacking: there is a lot of pop and sometimes the audio moves between left and right channels. Allison Micco presents this weekly podcast that looks at nutrition, biohacking and mindfulness. It focuses a lot on diet and lifestyle. New episodes are published every 5 days or so, but only the last 10 episodes are available on iTunes. Each episode starts with a short song-based introduction and lasts anywhere from 30 minutes to an hour. Recent topics include the ketogenic diet and alcohol use. 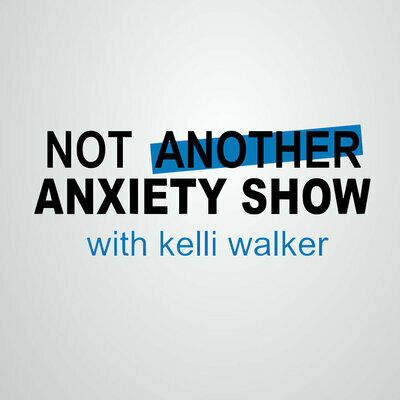 Candice Esposito hosts this fortnightly podcast on social anxiety. She is clear about what she is about: her website leads with the headline "I'm sharing everything on my journey to overcoming anxiety without drugs or psychotherapy". Each episode starts with a grand intro and scenic music that makes you feel you are at the start of a James Cameron film. It contains a friendly welcome but does take over a minute. Episodes are typically 10 to 20 minutes long. There is a little bit of hum and echo in the background. Recent topics include comparing yourself to others and loneliness. This podcast is hosted by Dr Aziz Gazipura and starts with some upbeat music to get you pumped. The show is specifically targeted at men with social anxiety and focuses on networking, dating, public speaking and presenting at work. It comes out weekly, and each episode lasts around half an hour. Production values are high. Recent topics include fear of rejection and tips to boost your confidence. Hosted by Gena Haskett the show describes itself as "on the involuntary journey in finding treatment options for people that have anxiety and panics attacks with side trips into related mental health disorders"
She won my heart instantly when she dedicated the first half of one her shows for calling shenanigans on a doctor who is claiming he can treat depression with botox. She shows a great understanding of science and medical evidence. Episodes are released weekly, and each one is under 10 minutes long. The intro isn't too long, and the production is good. 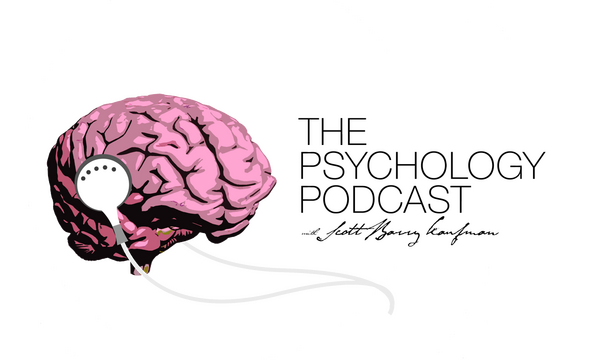 Psych Central is known for being a comprehensive and high-quality resource on mental health. Their podcast is hosted by Gabe Howard and Vincent M. Wales and also does the brand credit. It is not targeted at any specific area at mental health but contains a lot of useful information. In one recent episode, they looked at suicide and the suicide nets at the Golden Gate Bridge - a topic I have written about in the past (and we both agree they are a good idea). Episodes are released on a weekly basis and are around 20 minutes long. Recent topics include hypersexuality, what do panic attacks feel like and whether you should disclose your mental health struggles. 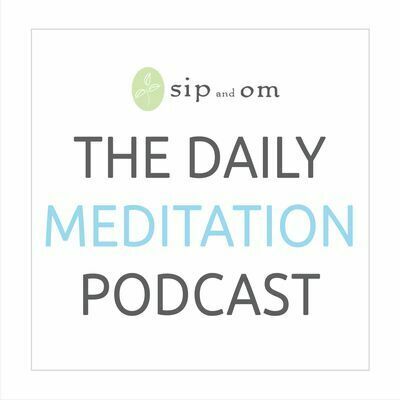 This podcast, hosted by Mary Maddux, offers 55 different meditations dating all the way back to 2006. It's still going, with episodes posted occasionally. The latest one appeared on 30 November 2016. It is a bit too free-spirited for my style. The meditations are slow and open to interpretation, talking about life energy and things like that. That's quite different to what something like Headspace offers, but if this is your bag, it is an excellent resource. The production quality is high. Most meditations are 15 to 20 minutes long. 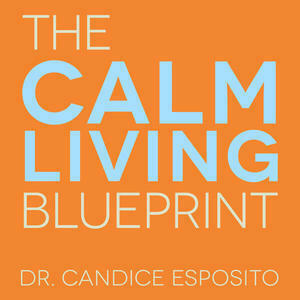 Presented by Dr Robert Puff, this podcast contains hundreds of meditations designed to help reduce stress. Each episode is around 10 to 15 minutes long. Production is okay, but there are some pops in the audio. Not all of the episodes are guided meditations, but those that are are straight to the point: no annoying intro, just the content. Hosted by Sebastiaan van der Schrier, he claims to have eliminated social anxiety using "energy psychology". Make what you will of that. He does seem to do a good job of getting experts on the phone to interview them. New episodes come out each month and are about an hour long. Production values are okay. 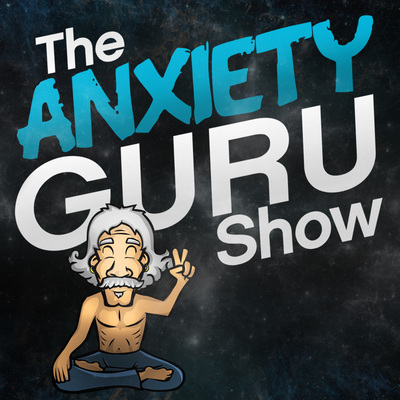 Hosted by Paul Colaianni, this podcast looks at anxiety, depression and relationship issues. 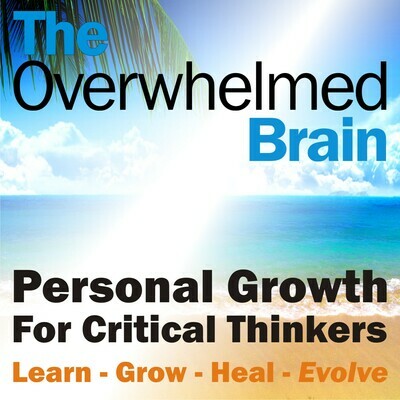 It describes itself as a personal growth show for people who want to improve their mood. It comes out every week, and each episode is an hour to an hour and a half long. Production values are okay. The show has an archive of hundreds of episodes. Recent topics include guilt and shame, suicidal thoughts and committing to decisions. Hosted by Mary Meckley, this podcast deserves mention just based on the sheer quantity of stuff they manage to put out. At the time of writing, there are already over a thousand episodes. It comes out daily, as you can probably guess from the name, and lasts about 10 minutes. Production values are good. They're not guided audio as you might expect, but each episode has an action or something to do. Recent topics include self-love, different types of breathing and anger. 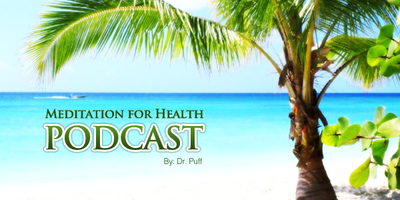 Hosted by Robert Cox, this podcast is targeted at recovering from addiction and trauma. However, even if this isn't you, there might be some useful information in here for you. Recent topics include developing self-worth, dealing with blues during the holiday period and sexual assault. Episodes come out every few weeks and last anywhere from 20 to 40 minutes. Production values are high. 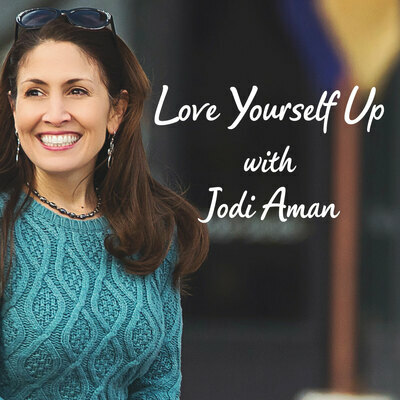 Hosted by Jodi Aman, this show offers short and concise information on managing your emotions. Not unlike our Two-Minute Tips video series, I might add. Episodes are usually only a few minutes long. Production values are okay: the intro of a lot of the episodes is too quiet, but once you get passed this there is a bit of nice music and then well-recorded audio. She releases one or two new episodes per month. 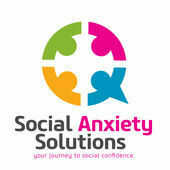 Recent topics include dealing with difficult people, life's ups and downs and building self-confidence. 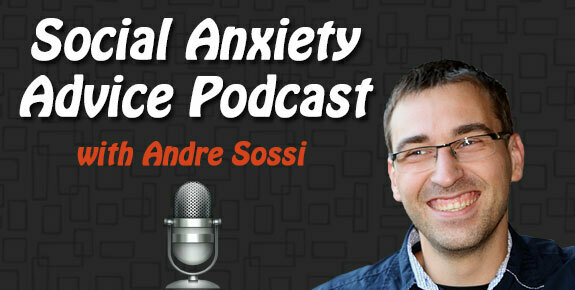 Andrew Sossi hosts this show that focuses on social anxiety, surprisingly. It is direct and to the point: he welcomes you to the show and then gets straight into the content. It ran weekly from mid-2014 to mid-2015. Production values are mixed: some of the audio has a lot of background noise, while other episodes are better. Each episode is around 10 minutes. Topics covered include attending high school reunions, loneliness and gratitude. This is a relatively new podcast hosted by Marie O'Neil. A time of writing it has 7 episodes, but new ones are being released on a weekly basis. Episodes are around 15 minutes long. Production values are good. Recent topics include can depression cause baldness, attention and mindfulness. If you are a parent, this show could be worth checking out. 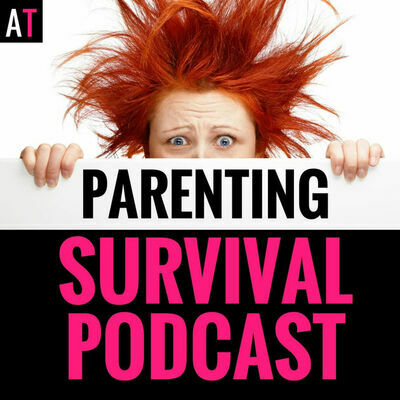 Hosted by Natasha Daniels, she regularly dips into mental health topics including the anxiety of parenting and handling your own anxiety while bringing up children. It is another newcomer and only has 12 episodes at the time of writing, with new ones being released weekly. Each episode is 20 to 30 minutes long. Production is okay. While they do offer a podcast feed, Mental Health Foundation's output is really a collection of different individual episodes and audio recordings that they bundle together. As such, there isn't really a theme to the show or host: each episode is individual and different. It covers all aspects of mental health, including stress and anxiety. Most episodes are about 10 minutes long. Production values vary depending on the episode but is generally okay. Episodes are not released on any schedule. Hosted by Dr Scott Kaufman, this show is not specifically focused on mental health or self-improvement but does promise to give you insights into your own mind and the world we inhabit. Episodes are released on roughly a weekly schedule. Each one is anywhere from 30 minutes to an hour long. Production values are good. Recent topics include the psychology of creativity, building resilience and focus. I feel it would be remiss if I did not mention that we too have a podcast, known simply as the Worfolk Anxiety Podcast. Hosted by me, we look at all aspects of anxiety including understanding what's going on, coping strategies, therapy and healthy living. Each episode is typically 10 to 15 minutes long. We're still settling into a schedule that works for us, but currently releasing new episodes fortnightly. Recent episodes include fear of flying, breaking tasks down into small steps and what to do when CBT (cognitive behavioural therapy) doesn't work for you. There is a huge amount of great resources out there. As with all of the internet, it is not lack of information we suffer from but overload: there is such much that it is easy to become overwhelmed. So start slow, pick or two to subscribe to and see how you get on. If you enjoy them, keep listening, if not, switch them out for another podcast. See what works for you. Published 8 May 2017. Written by Chris Worfolk.